Crude oil prices will remain in the $45-$50-a-barrel range till mid-2017, with little to change the global supply and demand situation, Goldman Sachs said in a note Thursday. The investment bank’s analysts ran through the many scenarios that would keep the oil market in stasis. 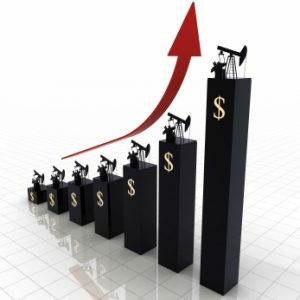 “The improvement in oil fundamentals remains fragile and continues to feature large offsetting forces: wildfires have helped offset surprisingly strong Iran production, slowing demand growth in India and China in 2H16 will help offset production issues in Nigeria and Venezuela and finally product builds have offset crude draws,” they said. Uncertainties in the near-term oil outlook thus leaves the key price driver to be largely related to movements in the U.S. dollar – the global crude oil trade is dollar-denominated – rather than market fundamentals, the bank’s analysts pointed out. In fact, there will be a modest supply deficit of 230,000 barrels a day in the second half of the year, they wrote. U.S. benchmark Western Texas Intermediate was trading around $42 a barrel on Thursday in Asia, while European benchmark Brent crude was around $43.50 a barrel; both grades were little changed. Crude oil prices have fallen about 13 percent in the month-to-date. The dollar index, meanwhile, has been edging up in July, which should make dollar-denominated crude more expensive. While high gasoline inventories at New York Harbor, Europe and Singapore have raised concerns, Goldman said oil fundamentals had not deteriorated sufficiently materially to increase the changes of running out of storage capacity. Instead, with gasoline demand strong so far this year, the counter-seasonal rise in inventories was likely due to an excess of refining capacity and strong refining margins up to this U.S. summer. “In particular, we find gasoline demand continues to grow robustly globally and expect this to continue as our economists forecast strong consumer spending,” Goldman said. “In our view, it would take a global demand slowdown, a sudden sharp halt in China’s crude inventory build or a ramp up in Libya or Nigeria production to take prices back below $35 a barrel,” according to the note.